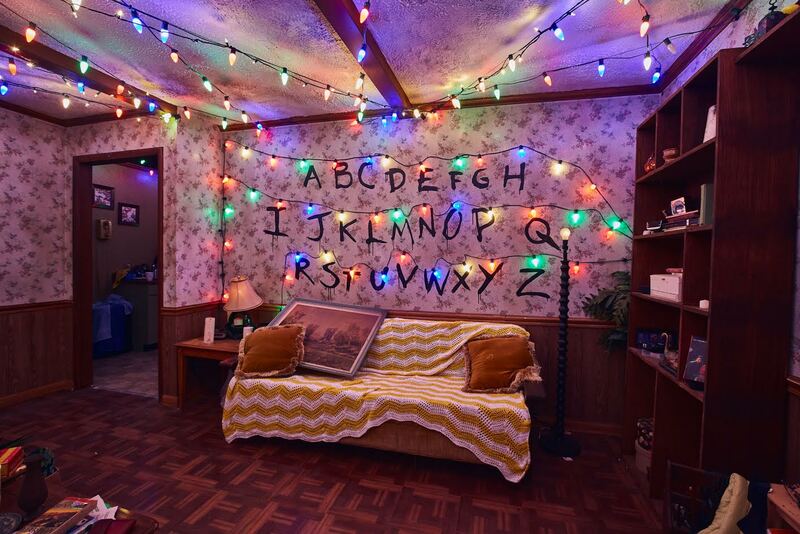 “Stranger Things” Comes to Life at Universal Studios Hollywood’s Halloween Horror Nights! Fans can rejoice! 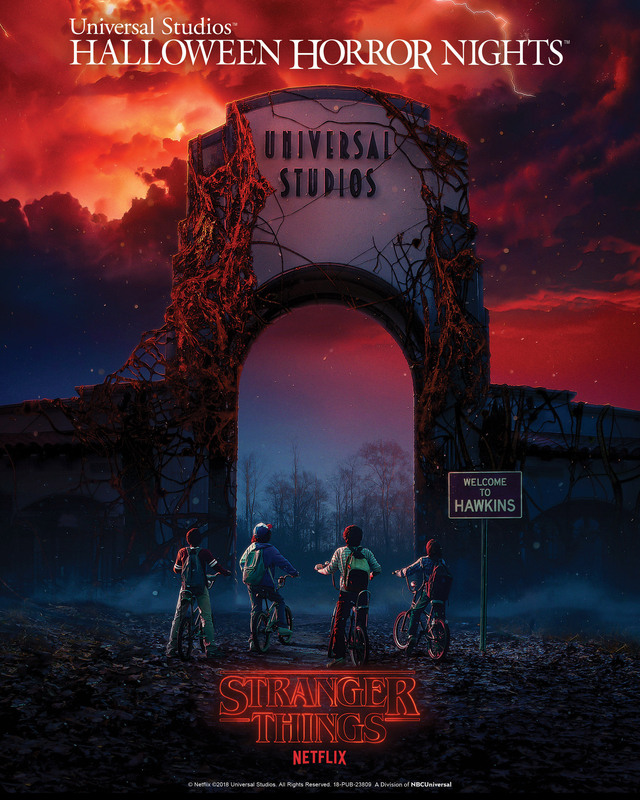 Netflix’s hit original series “Stranger Things” will come to life this year at Universal Studios Hollywood’s Halloween Horror Nights. Prepare to enter the Upside Down, face off against Demogorgons, and brave Hawkins National Laboratory. 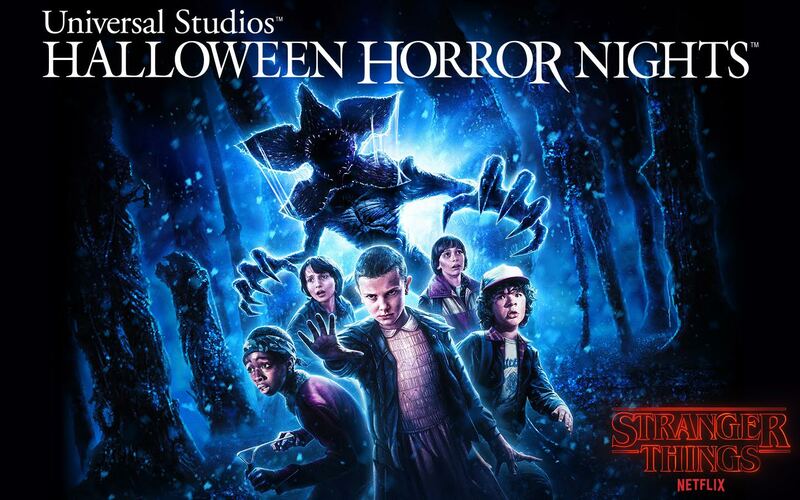 Universal City, CA, Orlando, FL, April 3, 2018 – For the first time ever, Universal Studios Hollywood, Universal Orlando Resort and UniversalStudios Singapore are partnering with Netflix to bring “Stranger Things” to life at this year’s “Halloween Horror Nights” events. 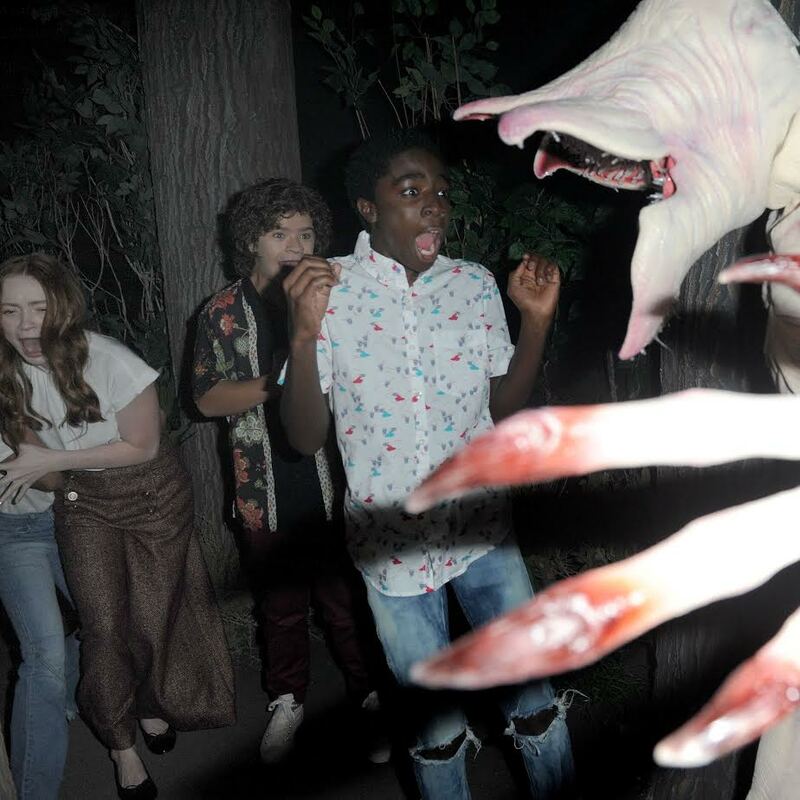 Fans of the series will get the chance to brave the Upside Down and confront the supernatural as each park debuts all-new mazes inspired by season one of the critically-acclaimed series. Universal Orlando’s three theme parks, Universal Studios Florida, Universal’s Islands of Adventure and Universal’s Volcano Bay, are home to some of the world’s most exciting and innovative theme park experiences – including The Wizarding World of Harry Potter-Hogsmeade and The Wizarding World of Harry Potter-Diagon Alley. UniversalOrlando’s on-site hotels, Loews Portofino Bay Hotel, the Hard Rock Hotel, Loews Royal Pacific Resort, Loews Sapphire Falls Resort and Universal’s Cabana Bay Beach Resort, feature a total of 5,600 rooms and are destinations unto themselves. Its entertainment complex, Universal CityWalk, offers dining and entertainment for every member of the family. 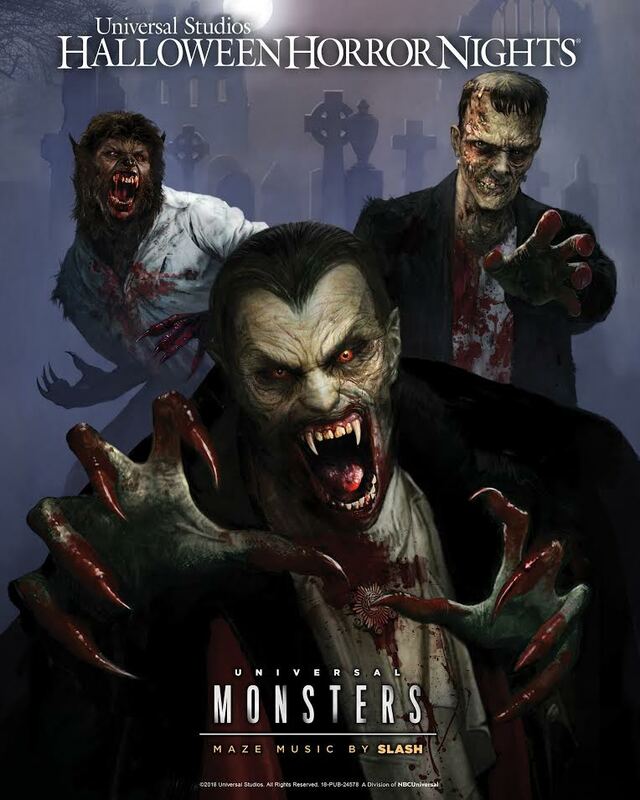 Universal Orlando Resort consistently unveils all-new guest experiences, including powerful attractions, incredible dining opportunities and dramatically themed hotels. Now open is Universal’s Volcano Bay, an entirely new water theme park, and Race Through New York Starring Jimmy Fallon, an immersive and interactive attraction in UniversalStudios Florida. Spanning 49 hectares, RWS is also home to other world-class attractions including S.E.A. Aquarium, the Maritime Experiential Museum, Dolphin Island and Adventure Cove Waterpark. Other attractions include the Asian flagship of a world-renowned destination spa, a casino, six unique hotels and the Resorts World Convention Centre. With the most number of Michelin stars in one destination, RWS offers award-winning dining experiences at renowned celebrity chef restaurants, establishing itself as a key player in Singapore’s vibrant and diverse dining scene. The integrated resort also offers world-class entertainment, from original resident productions to concerts and public shows such as the Crane Dance and the Lake of Dreams. RWS has been named “Best Integrated Resort” since 2011 for seven consecutive years at the TTG Travel Awards which recognises the best of Asia-Pacific’s travel industry.